Are the Lights a low voltage system? Lanai Lights is a low voltage lighting system. How do you hide the wires against the pool cage? Proprietary, self-adhering (see installation video) wire covers that completely hide and protect the wiring have been designed specifically for Lanai Lights. We can run the wiring through pool cage and pull the wires out of the back of the pool cage and bury it. Any problems with fading of the light fixtures? 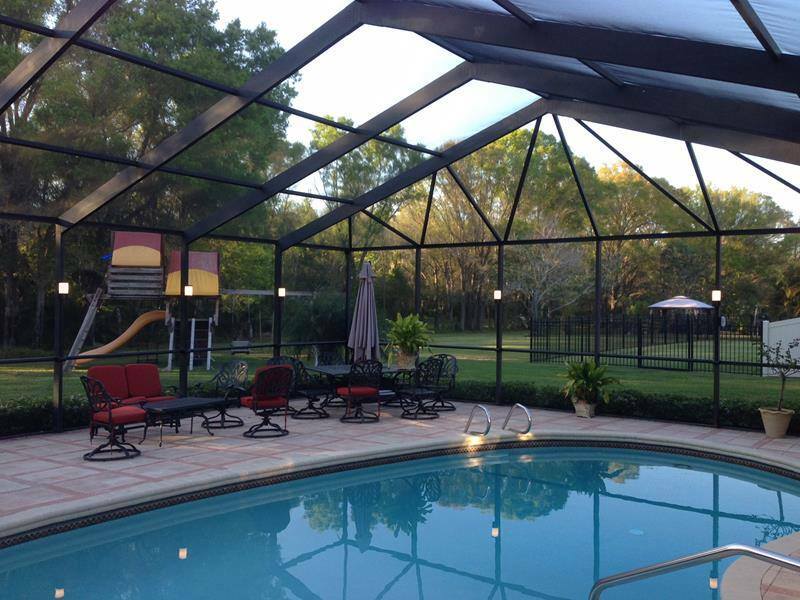 All components of the Lanai Lights system have been designed to resist fading, coloring, UV damage and other weather related problems. Only the composite fixture comes with a lifetime warranty. Are the lights on a timer? Can you put one on? Yes! All systems come with a remote control. Can I tie these in with my pool light or existing landscape lights? The Lanai Lights system is a self contained system and is not designed to be tied into any other systems. However they could be plugged into the same timing source. Professional assistance is recommended. What is GFI? How do I know if I have one or where it is? A GFI (ground fault interrupter) is a method used to disrupt the power put out by an outdoor plug (receptacle) in the event of a short circuit. Most outdoor receptacles are GFI protected. Except as otherwise stated, all Lanai Lights fixtures are warranted to the original owner to be free from defects for a lifetime. All electronic components (i.e. – switches, drivers, LEDs) have a two (2) year warranty. Landscape light bulbs and remote controls are covered under their respective manufacturer’s warranty. Do we have colored lights available? Yes, we offer a dimmable color led light fixture, with remote control system.